Very cute! I need to start making cards again! Thank you. I am having a lot of fun making the kids cards for the market stall. Not long to go now. Starting to get nervous, my fist ever market stall. I started at your most recent post and kept clicking older posts and here I am at the beginning. You are one talented blogger! Looking forward to getting to know you and thanks so much for stopping by. Cheers. Thank you. I am new to blogging and am enjoying the experience and all the talented bloggers out there. Tracy. This card is adorable. 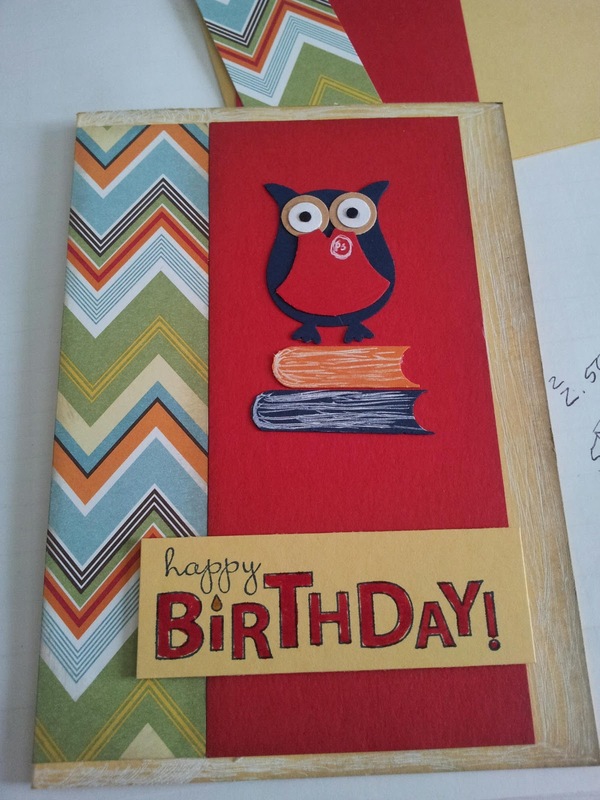 I love the colors and the way you used the owl. I think owls are so cute. Thanks for linking up with Whimsical Wednesday. Hope you will share again in the future. Thank you Leslie. I had fun linking up and shall see you soon in the future. Very cute card. I love the owl. Thanks Crystal. Thanks for stopping by.